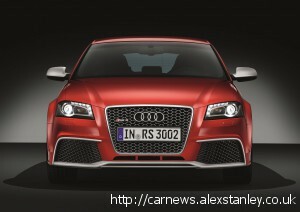 Audi RS3 finally announced | Hoot! 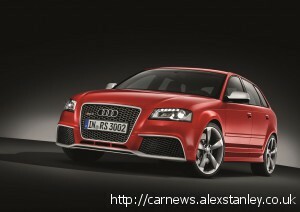 Ever since Audi launched the original S3, rumours have circulated about an RS3. 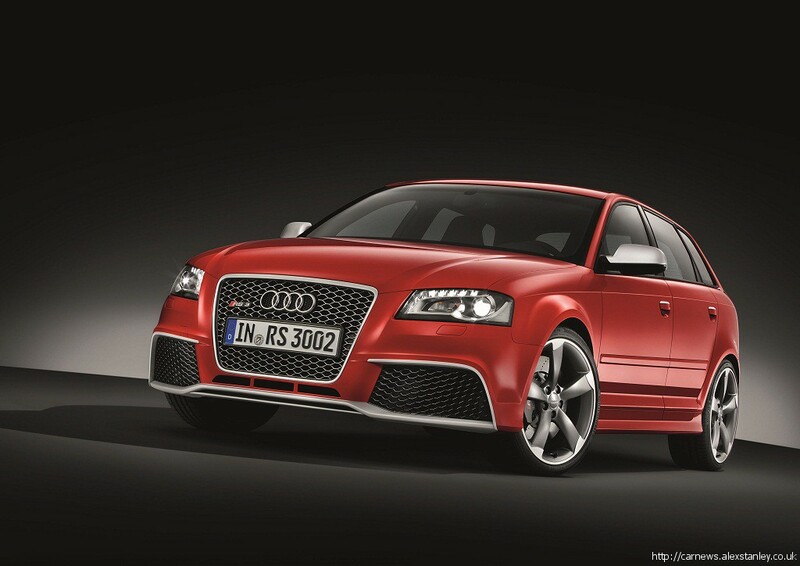 So many rumours, in fact, that aftermarket tuners such as MTM stepped in to offer upgrades to enthusiasts who had the nerve, and the deep pockets, to make their own one-off RS3. After what seems like an eternity, Audi has finally listened to the rumours and launched the ‘official’ RS3, and what a corker. The new car features weight-saving measures such as vermicular graphite for the engine block and carbon fibre-reinforced plastic for the front wings; the ride-height is 25mm lower than a standard A3, and rides on 19-inch alloy wheels. There are Xenon headlights with daytime running lights, a deeper front air intake, a large roof spoiler, matt-aluminium look wing mirrors and dual elliptical exhaust tailpipes. Inside, sports seats are upholstered in Fine Nappa leather with silver contrasting stitching, and inlays are finished in Piano black or the new Aluminium Race look. A flat-bottomed RS steering wheel and an exclusive design for the instruments and S tronic selector lever also highlight this car’s status, as does a specially configured Driver’s Information System which displays boost pressure and oil temperature and doubles as a lap timer. So it looks great inside and out, it’s been on a diet, but I’ve saved the important bit until last – it has a 2.5-litre 5-cylinder turbocharged engine producing around 340ps. Teamed with the standard seven speed dual-clutch gearbox, the £39,000 car will do 0-60mph in 4.6 seconds and go on to a limited 155mph. And somehow, it manages to get 31mpg. First deliveries are due to begin in April 2011. 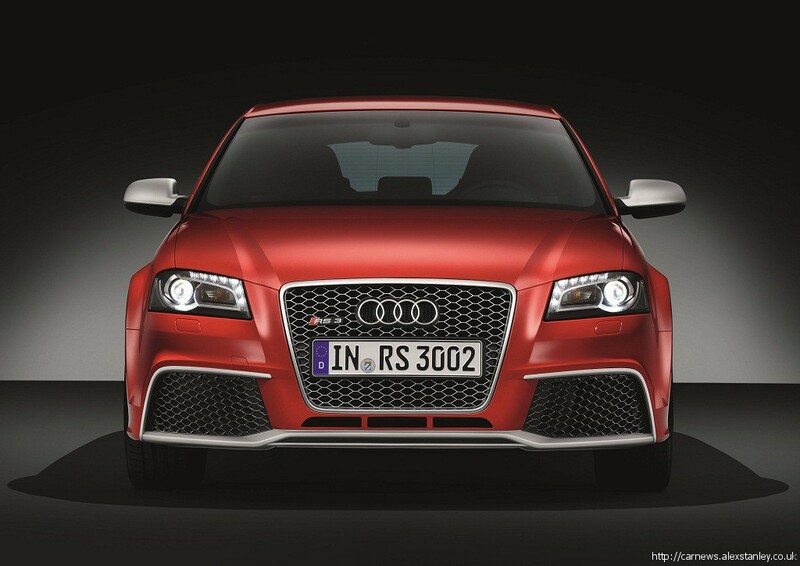 This entry was posted in Audi and tagged Audi, RS3. Bookmark the permalink.